Shot in 2013, this video is a look behind the scenes at PAC and what happens at our facility on a daily basis. This was the third aircraft we completed for Harrison Ford. The Bell 407GX was displayed at Helicopter Association International’s Heli-Expo 2014 in Anaheim, California. All of the customizations for this aircraft were completed in just two months – everything from additional assist handles for the crew, to XM radio for the passengers, and custom seating finishes for everyone in the aircraft. 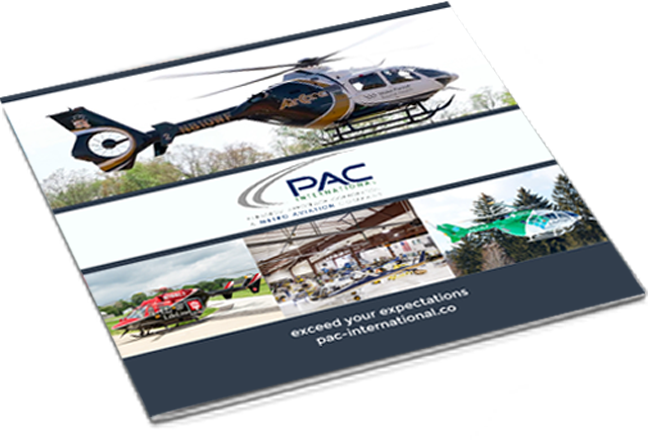 Find out how PAC International can exceed your expectations.